« CMPC: Park Property Monuments? Yes, Adrienne, you are our first winner! 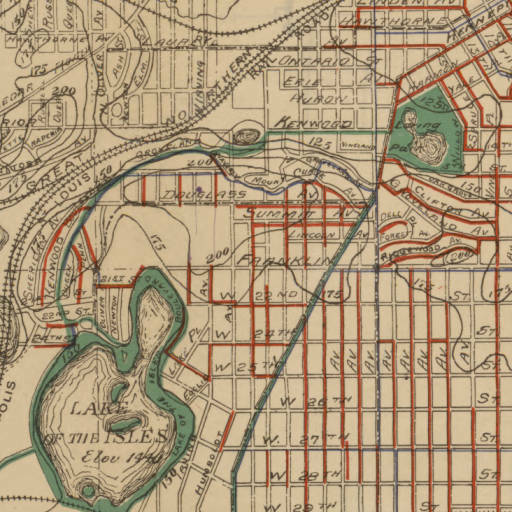 Meeker Island is one park property on this map that doesn’t exist any more. Unlike the now-submerged island in Lake of the Isles, Meeker Island is no longer park board property. Like the other islands in the Mississippi River that were inundated after dams were built, the US Government acquired it. One down and two to go. On the other side of town. BTW, I don’t count Oak Lake and Wilson Park because they are not shown in park green on this map. In fact they were parks in 1897, but no longer exist.